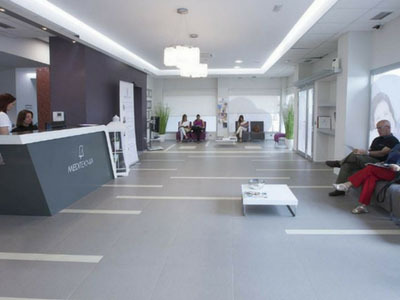 Mediteknia is a clinical space specialized in dermatology, dermatology and treatments related to hair loss. 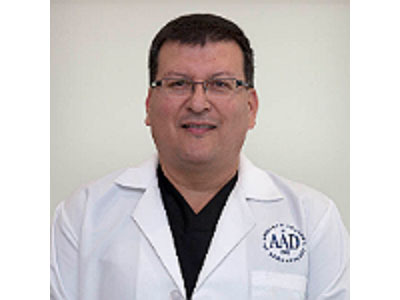 Our center is digested by Dr. Francisco Javier Jiménez Acosta, one of the most recognized dermatologists worldwide in the field of hair transplants and hair pathologies. 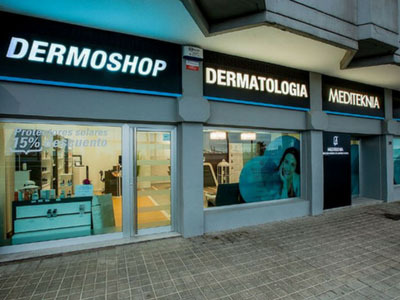 Its Dermatology unit also has Dr. Zaida Hernández and Dr. Esmeralda López, also specialists in Dermatology at the Insular Hospital of Las Palmas. 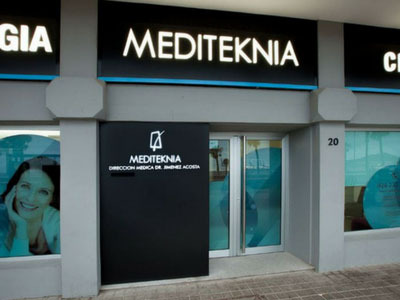 One of the objectives of Mediteknia is the commitment to skin care of its patients and innovation in the field of research on the hair follicle. 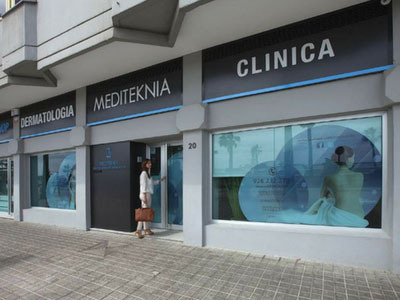 At the beginning of the year, 2015 created a research laboratory within Mediteknia's facilities, "Mediteknia Skin & Hair Lab", which is part of the "Medical Pathology Group of the University Institute of Research in Biomedical and Health Sciences" of the University of Las Palmas de Gran Canaria (iUIBS). This laboratory has a specialized Biologist Doctor and a laboratory technician who are in charge of carrying out the studies and research projects. 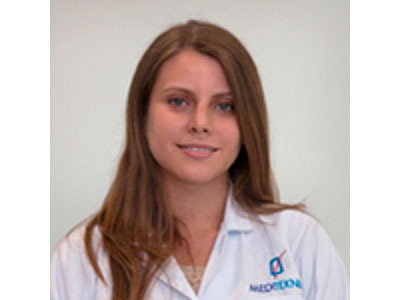 In addition, we have achieved close collaboration with leading European Research Centers such as the one led by Professor Ralf Paus in the "Institute of Inflammation and Repair" of the University of Manchester, England, and the "Monasterium Laboratory" in Münster, Germany, directed by Dr. Marta Bertolini and Prof. Ralf Paus, with whom "Mediteknia Skin & Hair Lab" shares similar research projects. The Laboratory signed an agreement in the 2017 year in the field of research with the "Fernando Pessoa Canarias University". 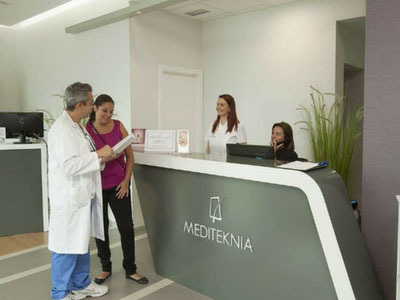 Quality in patient care comes first: The main objective of Mediteknia is to offer the highest quality of healthcare in the field of dermatology, dermetics and hair problems. 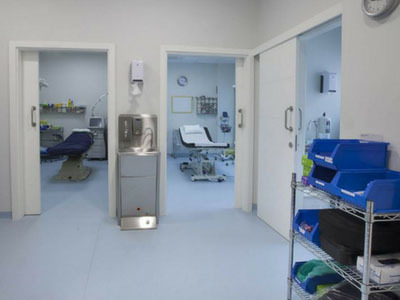 Each patient is unique, different and each pathology or treatment is personalized. 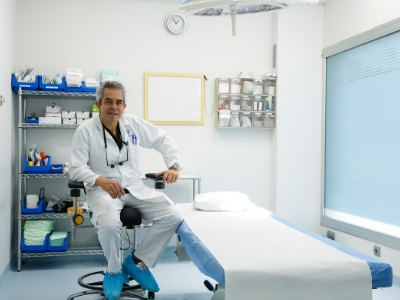 We are committed to offering a patient treatment of absolute confidentiality and respect. 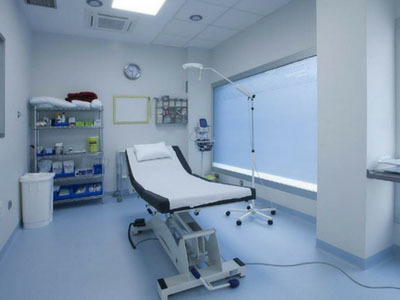 Modernity / Avant-garde: We bet to be the latest in medical knowledge and treatments, attending medical congresses continuously to incorporate new treatments is proof of this. Professionalism combined with Humility:Within our personality there is no room for ostentation, arrogance and arrogance. Scientific spirit: Our treatments are endorsed by the scientific community. Our purpose is not commercial, therefore we do not do treatments simply because "they are in fashion" but because they are already contrasted and validated scientifically ("medicine based on evidence"). Leaders in hair pathology / hair transplant: We are experts in hair recovery treatments and our scientific spirit leads us to be up to date on new developments. We are active in several research projects on different topics related to hair pathology, either led by us or in collaboration with other research groups. Our scientific publications and participation in Congresses endorse us. Proud to work in Canary Islands: Meditkenia could be in the US, Barcelona, ​​Paris ... and why not in Las Palmas de Gran Canaria? The management is aware of this and the choice is not free. This type of alopecia usually begins three weeks after the start of chemotherapy. Hair is lost quickly, which causes a lot of anxiety in those who suffer from it. 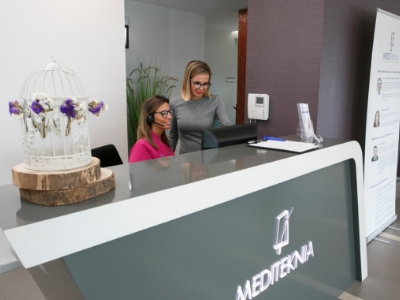 At Mediteknia we offer different solutions: Hair prosthesis, undetectable artificial eyebrows, Turbans and handkerchiefs for every occasion, Essential elements to be comfortable on the beach, Keratin powders for hair, shampoos and treatments for hair care during and after chemotherapy. and Image counseling in general. Mohs surgery can be used to eliminate any basal cell carcinoma and / or squamous cell carcinoma. There are other rarer tumors also susceptible to being treated with Mohs surgery. Melanoma, however, is not an indication of this type of surgery. Because Mohs surgery is such a specialized technique, its use is mainly focused on tumors that are difficult to extirpate or tumors that are at higher risk of reappearing after being treated (relapse). As a consequence of the degree of solar exposure to which we are subjected, the increase in recent years in the incidence of skin cancer has been very significant. There are three types of skin cancer: the most frequent is basal cell carcinoma, followed by squamous cell carcinoma and melanoma. The material that is currently used is hyaluronic acid, since it is a resorbable material (the body eliminates it completely), very safe and with very few adverse reactions. Hyaluronic acid disappears slowly and progressively in a period of 6 to 12 months. We recommend an initial infiltration and repeat another session after 6 months. Then the patient can repeat it once a year. Infiltration lasts 10 minutes. It is usually filled both the upper and lower lip, and better to put a small amount initially to be naturally, being able to add more in a later session if necessary. The first 2-3 days the lip may be a little more filled with how it will later be, as there is a slight initial swelling. Acne scars are sequels that remain on the skin of the face as a result of severe inflammatory acne. Therefore the first consideration would be to treat acne in an effective way so that scars do not appear. There is no 100% cure treatment, but there are many treatments that can greatly improve the aesthetic appearance such as Fraxel, ablative lasers, subcision, individual removal of scars, punch excision, peelings, dermabrasion, etc. . The production of sweat is an essential function to regulate body temperature. However, excessive sweating (hyperhidrosis) can cause significant problems for the sufferer. Some people sweat so much in the hands and / or in the armpits that can condition their work and social life. 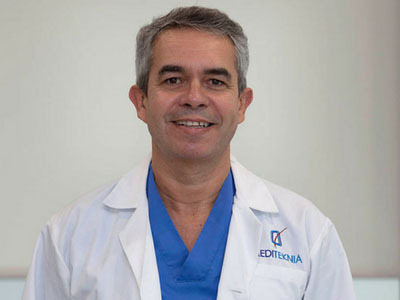 For this there are two effective remedies, one non-surgical and temporary, botulinum toxin, and another, definitive and surgical, thoracic sympathectomy. 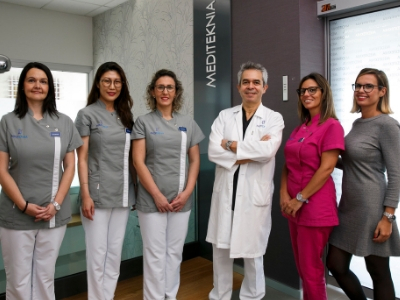 We have a "Unit of Sclerotherapy and Varicose Veins" in the Mediteknia clinic, directed by Dr. Julio Agredo, a MIR specialist in cardiovascular surgery, with great experience not only in Canary Islands but also in the peninsula and abroad. Diagnosis of these venous diseases such as spider veins, varicose veins and varicose veins of medium size is performed with Doppler ultrasound to assess the venous system of each patient. The treatment that is applied is through sclerotherapy with microfoam. This technique consists of intravenous injections of sclerosing substance, which causes the diseased vein to dry, heal and disappear. It is a fairly safe technique with a high percentage of effectiveness (80-90%). This procedure is ambulatory, since it does not require anesthesia and the patient leaves the center by his own foot. The peelings are used in order to improve the general appearance of the skin and lighten skin pigmentations. Superficial peels attenuate wrinkles. Tattoos have become fashionable nowadays. They are permanent drawings that are made by introducing ink inside the skin with special needles. Recent studies show that almost half of people who get a tattoo regret it after 5-10 years. While the tattoo is permanent, there is now a laser method that gets its removal without leaving a scar. Any of lasers allows hair to be removed temporarily, but not all hair removal lasers are the same. According to recent studies, the Lightsheer diode laser achieves permanent hair removal in a high percentage of hair follicles, being also a safer laser than the alexandrite to treat dark skins. The results with this laser are very good, getting long-term hair removal in all cases and permanent hair in axillary, English, legs, back, etc. The treatments of laser hair removal must be individualized according to the characteristics of the skin and hair of each patient. The effectiveness of the diode laser to remove the hair depends on several factors such as the color of the skin and hair (ideal in clear skin and dark hair), hair thickness (better in thick hair than in fluff). It is a Flash treatment that not only improves the appearance, but also helps you to recover youth and health in the skin. Hydrafacial treatment combines relaxing and revitalizing spa therapies with advanced medical technology to achieve instant and lasting results. Cleaning and Exfoliation: Dead skin cells are removed to reveal a new and healthy skin. Exfoliation with acid: This gentle exfoliation helps to loosen dirt and the remnants of creams and makeup from the pores without causing irritation. Extractions: Automatic and painless extraction by suction to clean the pores. Hydration: Anti-oxidants and hyaluronic acid are placed to nourish and protoger. 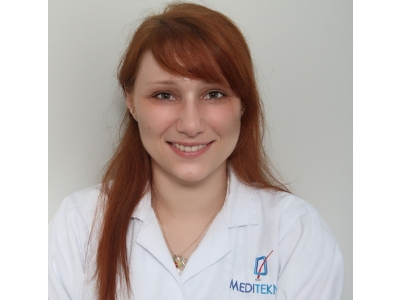 At the beginning of the year 2015 a research laboratory was set up within the facilities of Mediteknia in search of new projects in our field, "Mediteknia Skin & Hair Lab". 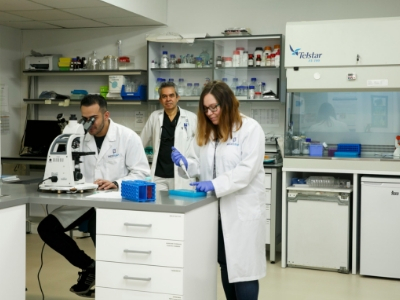 This laboratory has a specialized Biologist Doctor and a laboratory technician who are in charge of carrying out the studies and research projects. 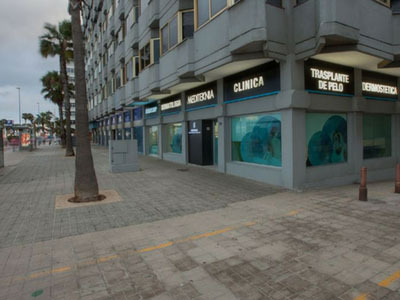 Our laboratory is part of the "Medical Pathology Group of the University Institute of Research in Biomedical and Sanitary Sciences" of the University of Las Palmas of Gran Canaria (iUIBS). We also collaborate with leading European Research Centers such as the one led by Professor Ralf Paus in the "Institute of Inflammation and Repair" of the University of Manchester, England, and the "Monasterium Laboratory" in Münster, Germany, led by Dr. Marta Bertolini and Prof. Ralf Paus, with whom "Mediteknia Skin & Hair Lab" shares similar research projects. Our laboratory also collaborates regularly with Professor Enrique Poblet of the Department of Pathology at the University of Murcia and with Prof. Ander Izeta, cell biologist and leader of the Department of Tissue Engineering of the Biodonostia Institute of San Sebastian. In 2017 this Laboratory signed an agreement in the field of research with the "Fernando Pessoa University". Note that "Mediteknia Skin & Hair Lab" is the Clinical Trials Unit of the German Laboratory "Monasterium Laboratory". So far two clinical trials have been conducted in close to 100 patients with the aim of showing the effectiveness of some innovative products to stimulate hair growth. The last clinical trial of a capillary lotion with a synthetic derivative of Sandalwood oil called "Sandalore" had a great impact. It was shown that this stimulates the olfactory hair receptors stimulating the growth of the hair follicle and reducing the daily hair loss.